I am not celebrating Halloween by dressing out as a scary monster or handing out candy to children knocking on my front door demanding "tricky or treat". 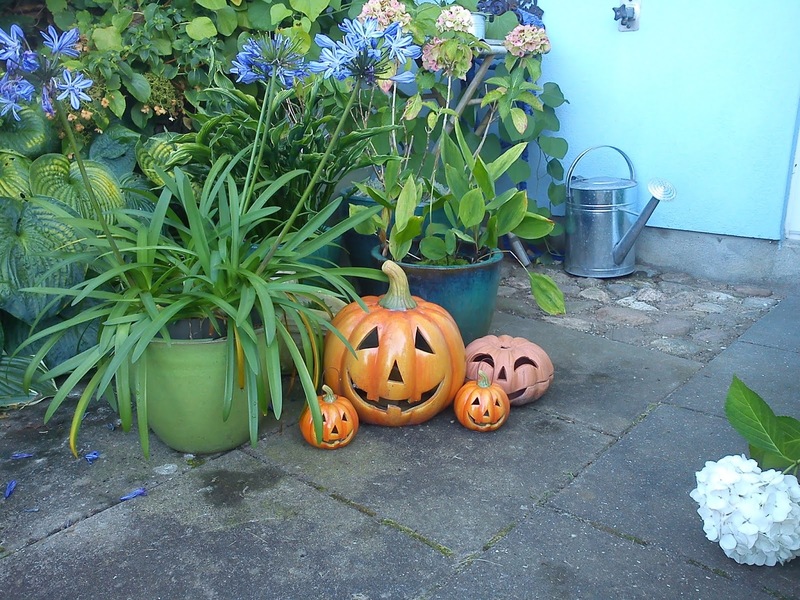 For me a "celebration" of Halloween is more linked to decorating the outdoors with pumpkins, which you can light up either by candle light or electrical lights as a way of bringing light into a very dark time of the year here end of October and all of November. It is a very dark of the year as the month of December involves much more decoration of both inside and outside with plenty of lights. And as pumpkins have become more and more in season here in Denmark, you will find more and more recipes on either soup or cakes having pumpkin as the main ingredients. And tomorrow I will share the recipe on pumpkin soup with parsnips and potato, which I have enjoyed for Halloween evening of 2018.